Our May meet-up was pretty much AMAZING. 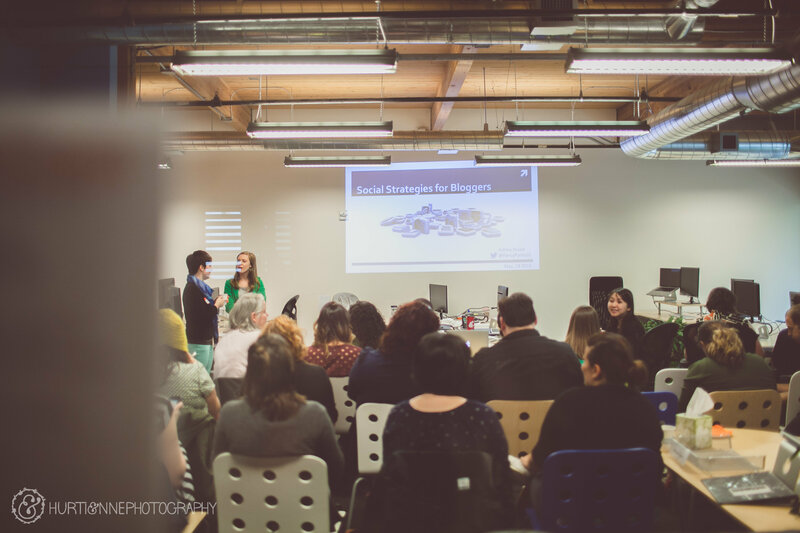 We learned lots of new info about social media strategies and the different social media accounts available from Ashley of SwellPath. If you weren’t able to join us at the event then definitely check out the slideshow she shared with us! Some great information and tips in there. Since implementing her tips I’ve seen my social media accounts grow quite a bit in just the short time since the meet-up. And, because of my social media accounts growth, I’ve also seen my blog numbers increase. Go figure!? We could NOT have had this awesome of a meet-up if it weren’t for the awesome people helping to put it together. Several companies donated their time, expertise, products, and supplies so that we could all learn a little bit more about our craft and network together. SwellPath generously provided their office space for the event. The speaker did a great job sharing about social media strategies and highlighting how it can help bloggers to HAVE a social media strategy. SwellPath is a digital marketing and measurement company. They sort of DO IT ALL. Check them out via Facebook, Google +, or Twitter! Blue Star Donuts is not your average donut shop. Their donuts fresh-baked each morning from Brioche dough, which gives them a lighter texture from the ordinary, and the flavors will make you double take! From their Blueberry Bourbon & Basil to their Hard Apple Cider Fritter (and who can knock what seems to be the PNW favorite—Maple Bacon), Blue Star turns the idea of a donut shop into an amazing, mouth-watering experience. 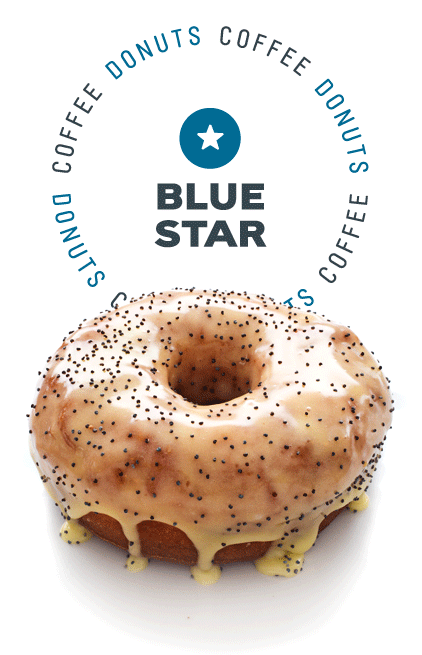 We were super psyched to have Blue Star Donuts donating some amazing creations to our upcoming Portland Blogger Event! Blue Star provided tasty donuts for the event. Find them on Twitter @BlueStarDonuts and Facebook. Nuvrei Patisserie & Cafe is a European and French inspired cafe located in NW Portland. You’ll find both traditional and modern interpretations of pastries, artisan breads, and Parisian macarons. They don’t stop at making buttery pastries and sweet treats. Stop by the cafe for house-made quiches and sandwiches or a cup of Coava coffee. We were happy to have some of Nuvrei’s treats at our event. Find Nuvrei Patisserie & Cafe on Twitter @nuvrei and Facebook. Water Avenue Coffee Company is a Portland-based roasters located in the Southeast Industrial district. In addition to their roasting house, they also have a café and Water Avenue Mobile, a vintage Step van that can often be seen buzzing around Portland or providing refreshments at large events. We were very excited to work with Water Ave. and introduce their delicious brew to the Portland Blogger Community. 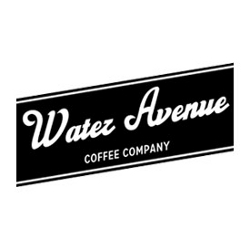 Water Avenue Coffee donated coffee for the event. Find them on Twitter @wateravecoffee and Facebook. Grace and Jaden from Hurtienne Photography (like Martini, but better!) offered their awesome photog skills to capture the event. Hurtienne Photography are Salem and Portland Oregon Wedding and Engagement Photographers.They have shared the photos with you through their site (CLICK HERE). The copyright information is located in this folder for your perusal. Please make sure you credit Hurtienne Photography when using the images. 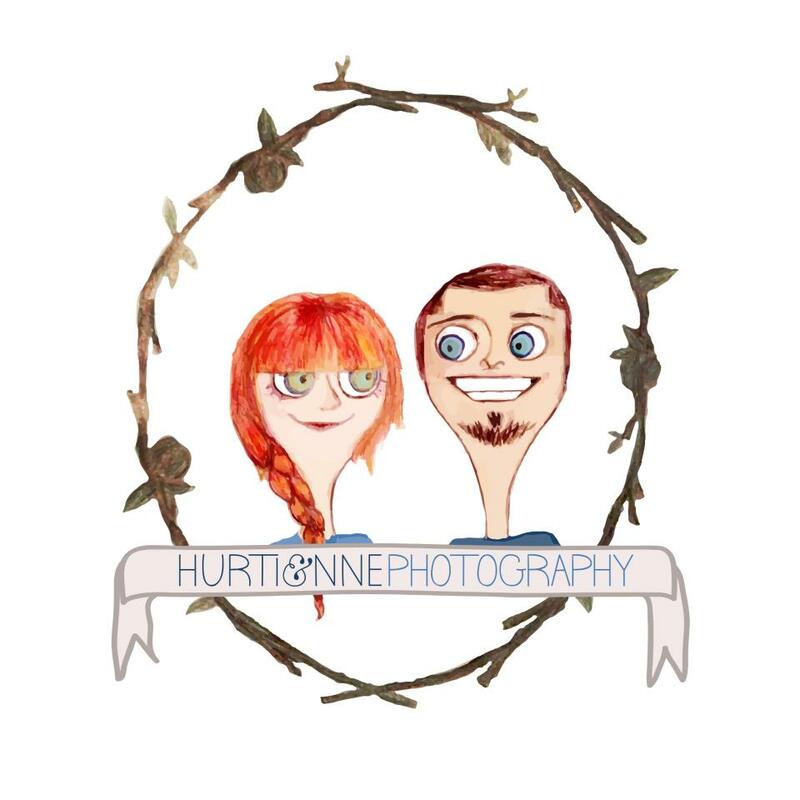 Find them on Instagram @hurtiennephotography and Facebook. Suzannah Hamlin Stanley of Adventures in Dressmaking. Find her on Twitter @advdressmaking and Facebook. Bee Talmadge of The Spicy Bee. Find her on Twitter @thespicybee and Facebook. Macey Snelson (unable to be at this event, but worked on the event none-the-less) of Motormouth Studios. Find her on Twitter @motormouthmacey and Facebook. Jenni Bost of A Well Crafted Party. Find her on Twitter @JenniBost and Facebook. Jenni, from Portland Bloggers and A Well Crafted Party, created the social media treat tags and shared them with the readers of CreatingReallyAwesomeFreeThings.Com. Check them out to download your own treat tags!